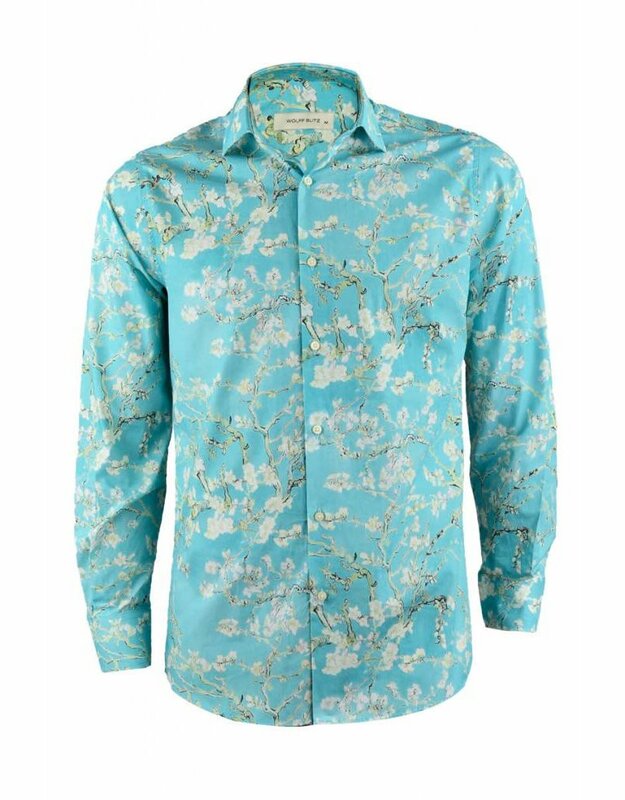 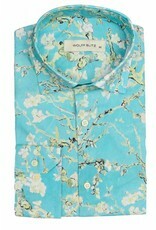 Beautiful, painted almond blossoms are featured on this shirt from the Wolff Blitz collection, the high quality cotton is certain to feel soft and comfortable on your skin. 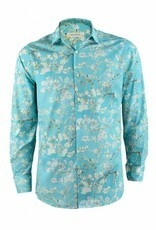 Due to the refreshing look and high quality of these shirts you’ll have all eyes on you. 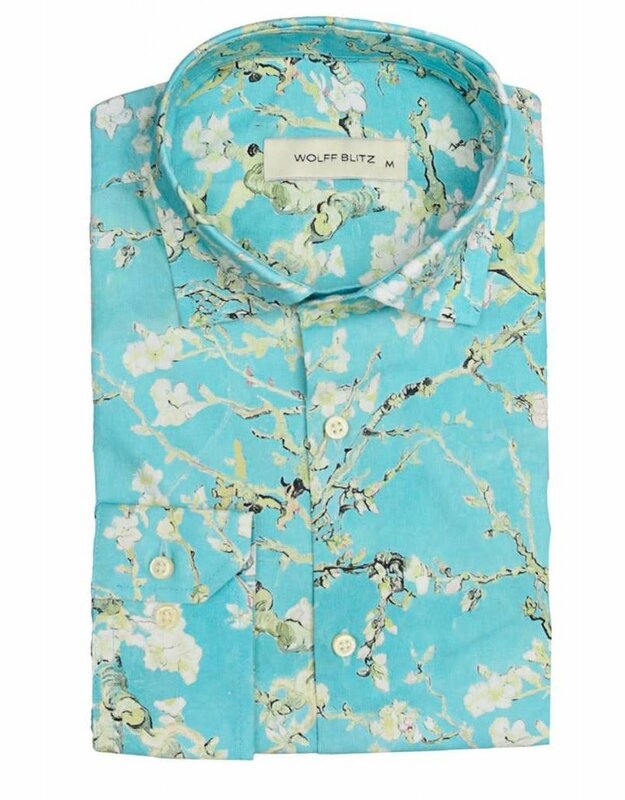 – Unique Wolff Blitz design & fit.